Several companies will collectively be launching about 20,000 satellites over the next few years. 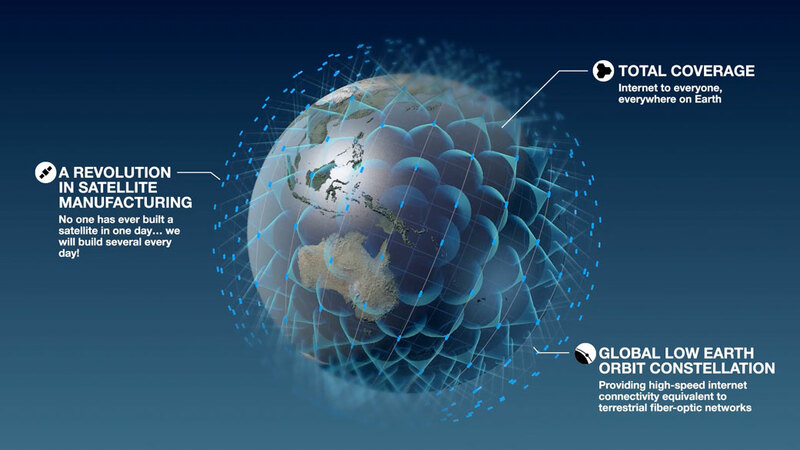 SpaceX, OneWeb, Telesat, O3b Networks and Theia Holdings — all told the FCC they have plans to field constellations of V-band satellites in non-geosynchronous orbits to provide communications services in the United States and elsewhere. So far the V-band spectrum of interest, which sits directly above Ka-band from about 37 GHz to the low 50 GHz range, has not been heavily employed for commercial communications services. In orbit satellite servicing is being developed. DARPA and commercial ventures are looking at in orbit satellite repair and servicing. Orbital ATK Mission Extension Vehicle 1 (MEV-1) is scheduled for launch in late 2018 and in-orbit testing with an Intelsat-built satellite by early 2019. By the company’s estimates, Restore-L could launch as soon as 2020. Its first mission may be to refuel Landsat-7, which provides satellite imagery for the U.S. Geological Survey. Rob Hoyt indicates that the challenges of effectively spreading off-world and colonizing the cosmos are overcome by making it easier to manufacture and assemble large systems and structures in space. This visionary physicist, engineer, and CEO is leading a team of scientists to overcome those challenges. Rob co-founded Tethers Unlimited Inc. in 1994, and built it into a space and defense research and development firm. He is now building a spin-off, Firmamentum, to commercialize in-space manufacturing. Rob has won more grants from NASA’s Innovative Advanced Concepts program than any other researcher. With a launch date goal for 2017, Moon Express plans to send a rover to the moon’s surface to begin surveying its surface for the best locations for further operations to mine iron ore, water, rare Earth minerals, metals, carbon, nitrogen, hydrogen, and helium-3. Jain believes that because the challenges presented by moon exploration are similar to those presented by Mars – challenges such as high radiation and vast temperature differences – SpaceX and Moon Express have plenty of reasons to work together. Moon Express wants to robotically mine the moon for water to provide fuel for commercial satellites and other missions. Planetary Resources wants to robotically mine near earth asteroids for metals and water. Bigelow Aerospace could put large expandable space stations into orbit or around the moon or on the moon or elsewhere. The tens of thousands of satellites and the explosion in robotic capability could provide the economic momentum to rapidly transform the Earth moon system and near earth asteroids into a rapidly developing economy.